Saturday, Mar. 17, 7:00 p.m. The Rangers will face-off against the Colorado Avalanche at Madison Square Garden (7:00 p.m.; TV: MSG 2; Radio: Bloomberg Radio), in the fourth game of their seven-game homestand. The Blueshirts currently sit atop the Eastern Conference standings, and rank second in the league overall, with a record of 44-19-7 (95 pts.). The Rangers enter the contest having been defeated by the Pittsburgh Penguins, 5-2, on Thursday at Madison Square Garden to end their six-game home winning streak, and are now 2-1-0 on their current seven-game homestand. 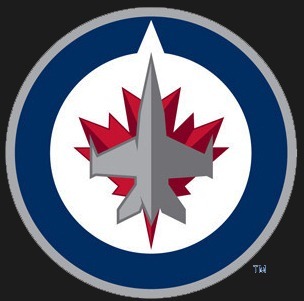 The Avalanche enter the contest with a 38-30-5 (81 pts.) record to rank eighth in the Western Conference, and have won five of their last seven games. Following the contest, the Rangers will face-off against the New Jersey Devils on Monday, Mar. 19, at Madison Square Garden (7:30 p.m.), in an Atlantic Division match-up. The Rangers were defeated by the Pittsburgh Penguins, 5-2, tonight at Madison Square Garden, and are now 2-1-0 on their current seven-game homestand. New York has posted a record of 44-19-7 (95 pts.) overall, including a 24-8-2 mark at home. The Blueshirts’ 24-8-2 (50 pts.) mark at MSG is their best record at home through 34 games since 1993-94 (23-6-5, 51 pts.). The Rangers are now 7-4-2 against the Penguins in their last 13 meetings. The Blueshirts held the Penguins scoreless in four shorthanded situations (6:00), and are now 29-32 (90.6%) on the penalty kill in the last 10 contests. The Rangers’ penalty kill has held opponents scoreless in six of the last eight games (24-26, 92.3%). The Rangers out-hit the Penguins, 34-23, and were credited with 17 blocked shots in the contest. New York holds a four-point lead over Pittsburgh atop the Atlantic Division standings. Tuesday, Mar. 13, 7:30 p.m. 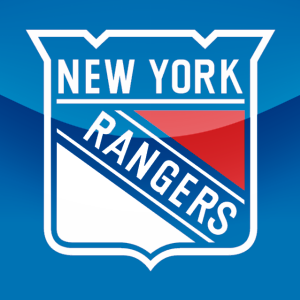 The Rangers will face-off against the Carolina Hurricanes at Madison Square Garden (7:30 p.m.; TV: MSG Network; Radio: 1050 ESPN Radio), as they continue their seven-game homestand. The Blueshirts currently sit atop the Eastern Conference standings, and rank second in the league overall, with a record of 43-18-7 (93 pts.). The Rangers enter the contest having defeated the New York Islanders, 4-3, in overtime on Sunday at Madison Square Garden to begin their seven-game homestand, and are now 14-6-3 in their last 23 games. The Hurricanes enter the contest with a 26-28-15 (67 pts.) record to rank 13th in the Eastern Conference, and have lost four of their last six games. Following the contest, the Rangers will face-off against the Pittsburgh Penguins on Thursday, Mar. 15, at Madison Square Garden (7:00 p.m.), in an Atlantic Division match-up. The Rangers defeated the New York Islanders, 4-3, in overtime tonight at Madison Square Garden to begin their seven-game homestand, and are now 14-6-3 in their last 23 games.